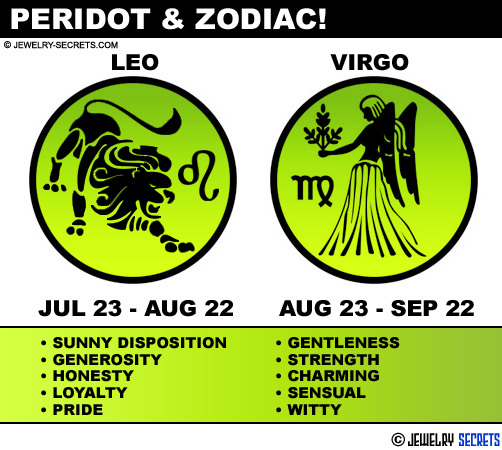 Peridot is the Official (one and only) Birthstone for the Month of August. Peridot, pronounced Per-Ih-Doe (the T is silent) is actually from a parent stone called Olivine, which is a Silicate of Iron and Magnesium. 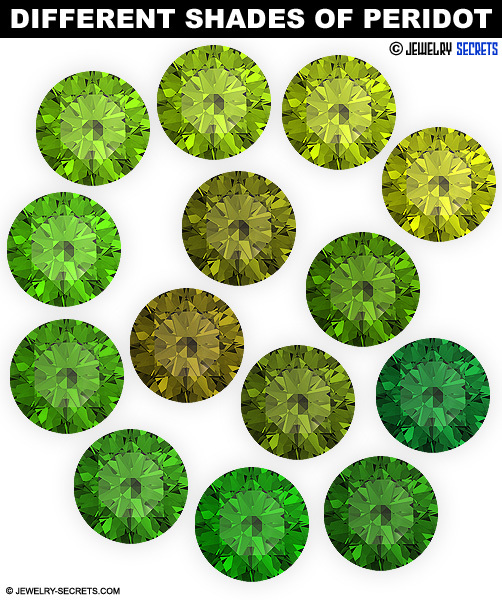 That’s what gives Peridot it’s Olive Green, Lime Green, Deep Green and Yellowish Hues. Deep Green Shades (without any traces of Brown) is the Most Valuable Color there is. But the more Common Color is from the more Commercial Grade Peridots produced right here in Arizona! They have the more Lime-Green Yellowish Hue that we all know and love. 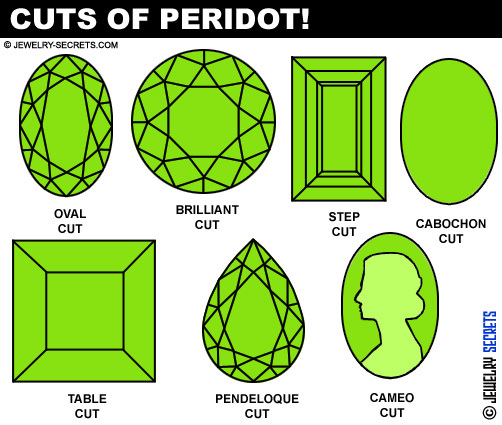 Peridot has been around for a long, long time. Mentioned way back in the Bible and adorned by the Egyptians, Peridot has been said to Possess Magical Powers. Being named the Gem of the Sun, it attracts Wealth and drives away Evil Spirits! 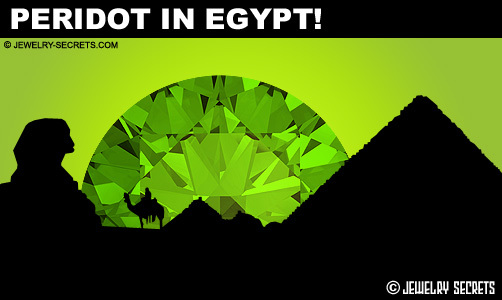 Even Queen Cleopatra’s Famous Emerald is said to have probably been a Peridot instead. 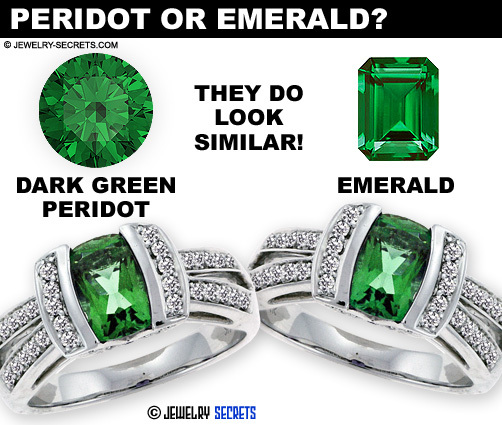 That’s because Fine Quality Peridot can mimic and give off the appearance of a Great Emerald. Mistaken Identity has followed Peridot throughout history. Originally called “Topaz” because it was found on a Topazious Island (Serpent Isle) in the Red Sea. We now know how to identify Peridot, and it’s properties make it very unique. The Hardness and Toughness of Peridot makes it Pretty Safe to wear every day, although it is best suited for Pendants and Earrings where they won’t take a direct hit like a Ring would. Wearing Peridot in Rings is fine, you just should be more careful and cautious with them. One thing that you should watch out for is HEAT! Heat and Rapid Temperature Changes. 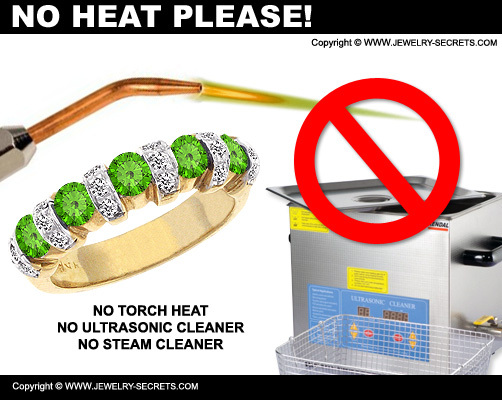 Heat from Ultrasonic Cleaners, Steam Cleaners and Jeweler’s Torches, as well as sudden shifts in Cold to Hot, can Fracture or Crack your Stone. 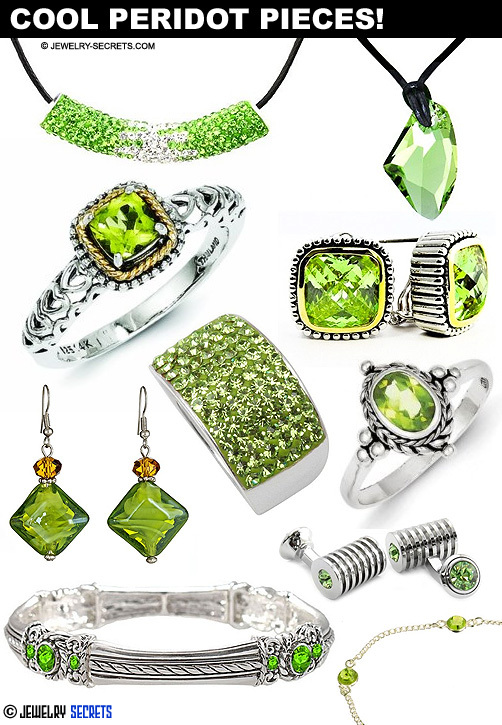 Peridot is found in multiple places, both Exotic and Familiar all over the World. Places like: Zabargad, Zebirget, Finland, Pakistan, China, Vietnam, Myanmar, Queensland, Brazil, Mexico, Ethiopia, Kenya, Burma, Sri Lanka, and the USA. The great thing about Peridot is the fact that it’s Pretty Inexpensive, even for Large Carat Weights. This Clean, Transparent Gem is one of those Stones that you either Love, or Hate. There is no in-between. Lime Green does that to people. Personally, I love this Gemstone and think that the Hues and Variations are Wonderful. Some Stones are so Rich and Bright they almost GLOW. It’s easy to understand why Egyptians thought the Stone actually Glowed in the Dark (and was invisible by day). King Edward VII of England even wore Peridot as a Good Luck Charm. All of this from the August Birthstone! Interesting enough, this gem is also called “Chrysolite” (meaning Golden Stone) when it appears more on the Yellow side of Yellowish Green. 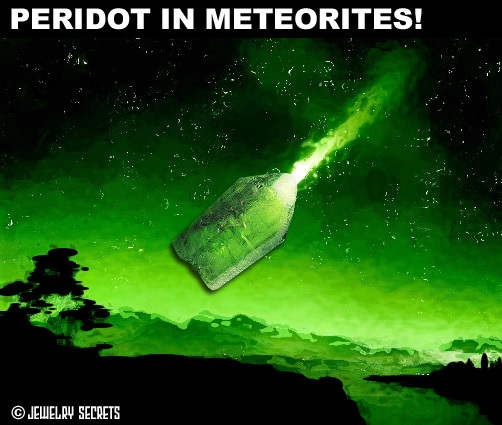 AND… Peridot is the ONLY gem to come from outer space as a constituent in Meteorites! “Moon Rocks” is what they call them! 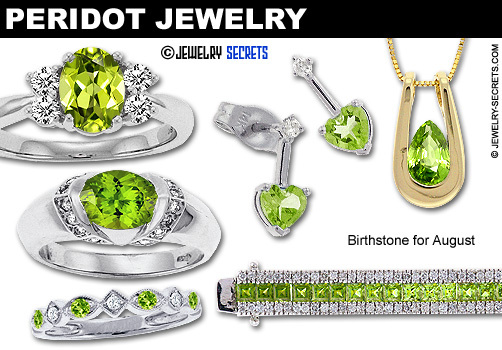 Peridot is also the Gemstone that can be used for both the 1st and 16th Wedding Anniversaries. Peridot is also a Great Gemstone to use for Chakra as well. Use Peridot for the Heart Chakra, which is the 4th Chakra (Behind your Heart and Center of your Body). It’s been said that Peridot can promote the search for Enlightenment. Some say to put Peridot by your bed at night, or even underneath your pillow for it’s Healing Properties. 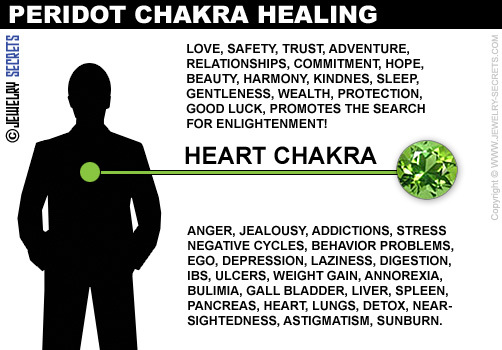 So what does this Heart Chakra, the Feel Good Stone, Cure? The Heart Chakra is the Center of Love and Compassion. It’s your Energy Hot Spot. In other words, it Balances out all the other Chakras and Centers them! You didn’t know Peridot has such benefits did you? Do Peridots have Magical Powers? But if it’s your Birthstone, why not give it a shot? It’s Inexpensive enough to find out. And if it Helps with your Mind, Body and Soul, then it’s well worth the price you pay. This was very surprising. I’m 11, and my birthday is August 3rd, and I am MIND BLOWN over this gemstone information. I LOVE IT, THANK YOU SO MUCH! !